Crystal Palace falls again to Chelsea at Selhurst Park increasing their run of wins to eleven equaling Club record of eleven wins back in 2009, thanks to Diego Costa's header. Chelsea presently leads with nine points on the premier League Table having 43 points while Arsenal and Liverpool are tied at second with 34, playing a game more than the other teams in the top four Chelsea might likely retain the nine point Lead as Arsenal meets the forth place Manchester City tomorrow while Liverpool meets Everton on Monday. 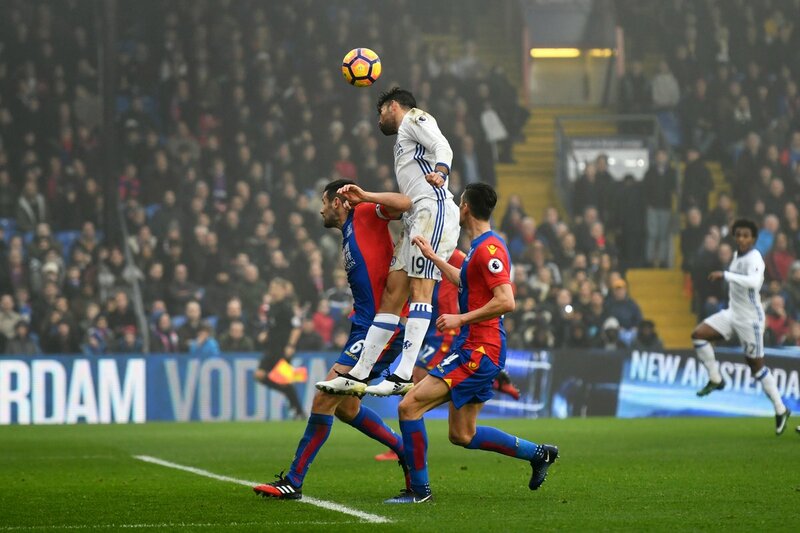 Diego Costa Leads the goal chart with 13 goals and Today he lifted himself well high above the palace defense to give his team a lead, converting the Azpilicueta's searching cross into the goal was the difference in this game and also Alonso also had the chance to give his side a two goal lead but his 25 yard free kick hit the pole sending trills of disappointment to the player. Presently Chelsea leads with 43 points with a Eleven game win run, looking Unbeatable and a home advantage in their next game against Bournemouth while Crystal Palace with 15 points in the 16 position have more fears of Relegation away against Watford.